Over the last few years I have come to have such an affection for Seoul that I want to show all aspects of the city. Needless to say, how poor people live in Seoul, the people who make their living by collecting bits of metal or recyclable paper, is important for us to see. We should not turn away from them and pretend that they do not exist. Nor should we pretend that only the mentally ill find themselves in such a state. 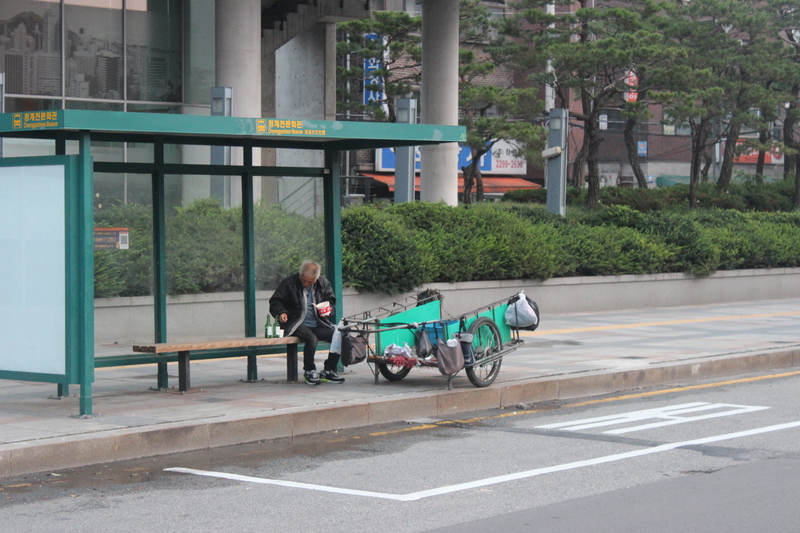 As the Korean novelist Park Jiwon so well expressed, the experiences of the poor are our own experiences. The only difference perhaps, is that we are unaware of just how poor we are. I see many pushing carts in search of small amounts of income. Often they are older women who have a difficult time. If they were in wealthy families, they would be pampered and taken to expensive doctors for minor ailments.